The cool arcade character from the PS2 returns on the PlayStation 3 with The Sly Trilogy that returns gamers to the wonderful world of Sly Cooper. Sly who? 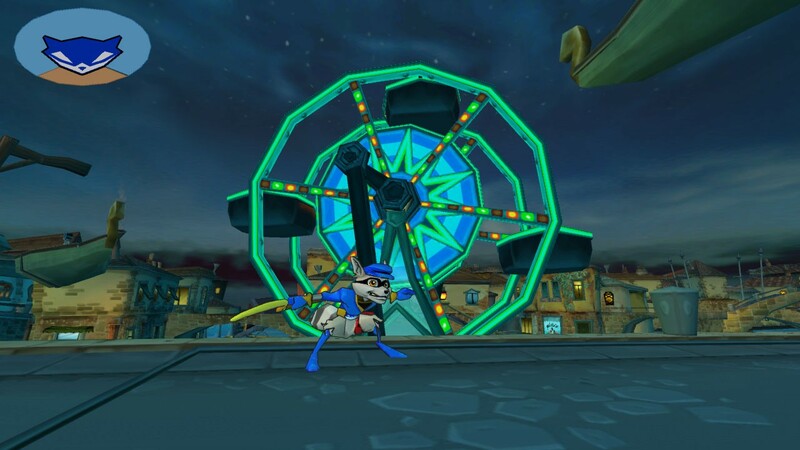 That's Sly Cooper, a cunning yet suave thief who brought some wonderful gameplay moments to the PS2 from its diverse gameplay and amazing cell-shaded environments. So what's new on the PS3? Basically, the games have been remastered on the PlayStation 3 in high definition that boasts some sharp images that really look amazing on FULL HD. Even better is that the game supports stereoscopic 3D and allows gamers to replay Sly Racoon, Sly 2: Band of Thieves and Sly 3: Honour Among Thieves in full 3D. Lastly, it even supports the PlayStation Movi for its mini-games segment of the title. That's not a bad remastered game if you ask me! In its essence, these games are platformers that require the gamer to jump, run and defeat an unending supply of enemies. 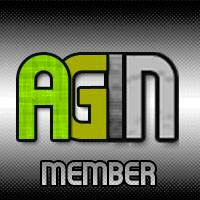 There's lots of exploring, puzzle solving, combat and platforming to keep even the most prudent of gamers entertained. But stealth is the key to Sly and sneaking around is where Sly works best. Sly also has a cane... not for pompous usage but rather smashing your enemies. Of course, the story of Sly has always been the heart of these games and even after all these years, they are still a treat to watch again, especially in FULL HD. The first game does look a little dated but as the series progressed, the graphics improved considerably and thanks to the fresh new visuals, Sly looks rather fetching in all incarnations. The original game Sly Racoon lasts for around 8 - 10 hours as you search for the missing pages from a precious heirloom stolen by your arch-nemesis Thievius Raccoonus. There's even a love interest in this instalment with Carmelita Fox! Meow! As you explore the diverse environments, you will come across a variety of challenges and boss fights. It's all traditional platforming fun but sometimes you need a light-hearted game in all these first person shooters and war games. Sly Racoon is the answer. 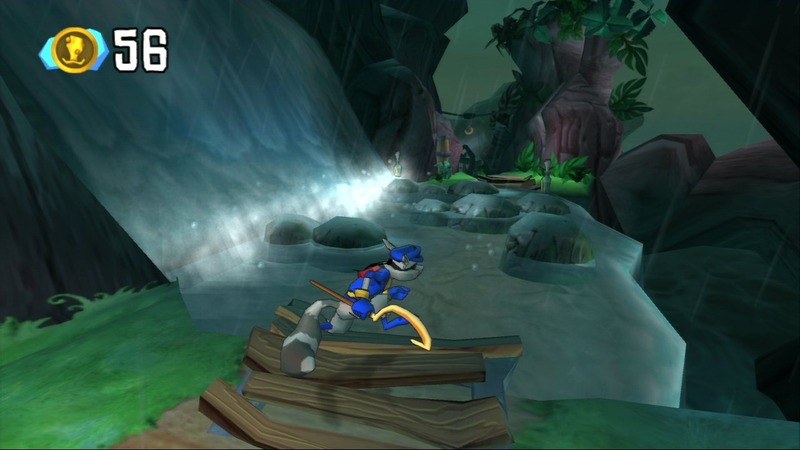 Sly 2: Band of Thieves considerably upped the ante of the series by making the gaming environments a lot larger. 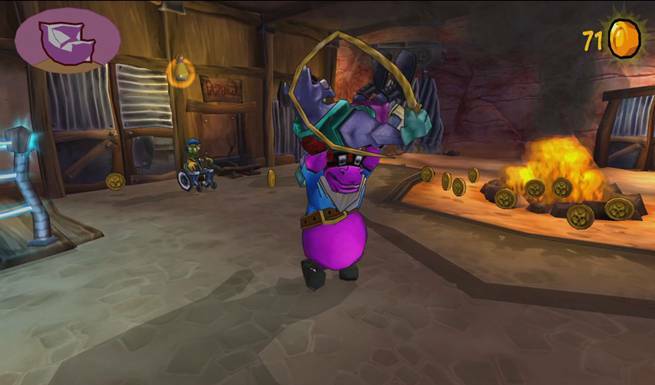 Just like games such as Jak and Daxter, this sequel required the player to play both Bentley the Turtle and Murray the Hippo, two shady colleagues of Sly Cooper. The best part of these other characters is that they are each quite different and it really livened things up in the series. Another cool part of Sly 2 are the locations that you visit that include real-world destinations such as Cairo and Canada. This game lasts a good 10 to 12 hours. Finally, we have Sly 3: Honour Among Thieves that just like Ratchet & Clank, added some additional arcade moments like more mini-games such as plane flying as opposed to jumping around and defeating enemies. The story of Sly 3 is much more well-written with a former family friend betraying the Cooper clan and it really adds to the mythology of the series and was easily my favourite title in the collection due to its humour and awesome action scenes. The final game takes around 10 hours to complete so that around 30 hours of pure arcade goodness. Thankfully, the PlayStation Move segments are only mini-games as opposed to the main three games. These are fun for about 30 minutes but are definitely not as entertaining as the arcade bits of the three games. But I must admit that the remote controlled helicopters mini-games was kind of cool as you fly them through hoops and the like. It's a nice tip of the hat to the PlayStation Move but nothiong special. With its updated visuals, thanks to the remastered graphics and incorporation of 3D, Sly does look a tad (just a tad) dated but when matched with 3D, it's definitely a unique and fun experience. Add in am awesome soundtrack, great voice acting and a variety of over the top sound effects and the Sly Trilogy comes together rather well on the PlayStation 3. 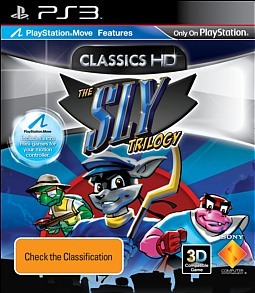 In the end, The Sly Trilogy is a must have game for those that enjoyed this title on the PS2 or for those looking for a traditional arcade game without too much fluff. 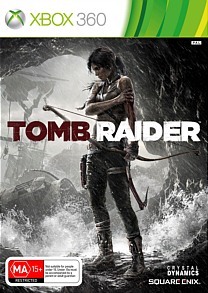 Add in some PlayStation Move compatibility and 3D and this remake is more than just a facelift. Let's hope it sells like hotcakes and we'll see a new Sly Racoon game on the PS3. Recommended!